Prompt & professional service, everytime! Welcome to Norris Cleaning Company. We offer a full-scale commercial cleaning service for office blocks and other commercial buildings in the ACT. With more than 40 years of experience in the cleaning industry, we pride ourselves on our environmentally friendly, professional practices, and our high level of commitment to our clients. In addition to our commercial cleaning service, we can provide emergency cleaning, window cleaning, and full supervision and superintendent services – so you will know that your building will always look good and be safe for staff members and visitors, without you having to worry about the details. We operate out of a purpose-built facility in Canberra, and our large staff of more than 150 employees and our fleet of 15 vehicles can accommodate jobs of any size. Why not call us today for a no-obligation quote? Cleaning is about more than your building just looking good. Messy or poorly maintained workplaces can lead to health and safety issues, poor productivity and a negative public image. Regular, professional cleaning can help your employees feel relaxed and better organised, help you avoid preventable occupational health and safety (OH&S) issues, and ensure your business presents well to clients. 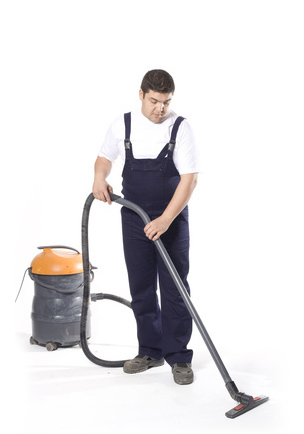 At Norris Cleaning, we pride ourselves on our dedication, commitment and professionalism. Our environmental policy is at the core of what we do, and we are committed to sourcing and using the best possible environmentally friendly cleaning products and practices. We encourage our clients to recycle, use sustainable products, and reduce water usage where possible, so that we can help create a better environment for everyone. We take safety seriously. Our team members are trained in OH&S procedures before they start work, so you can reap the benefits of a cleaner and safer workplace for your own employees. There are more benefits to a clean workplace than meet the eye. A healthy workforce is a productive workforce, and regular cleaning can reduce hazards and help keep your employees at the top of their game. Our environmental policy is at the heart of what we do. Everything from water management to recycling, and even our choice of cleaning products, is undertaken with responsible environmental practices in mind.